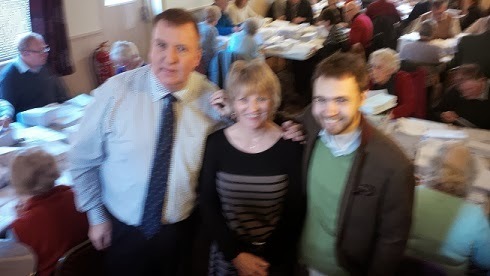 DIARY OF A CONSERVATIVE PARTY AGENT: West Kent - better together ! The five Associations forming the West Kent Group came together for the first time today - and it was a formidable sight. 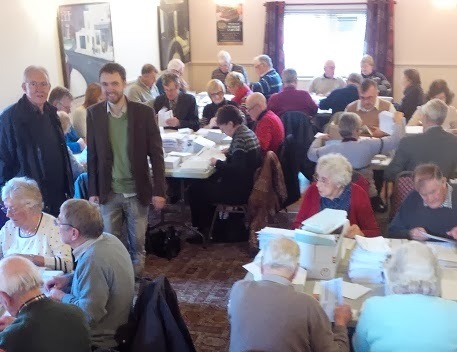 All five Associations provided manpower to assist Maidstone & The Weald and Faversham & Mid Kent pack 25,000 envelopes, as part of the preparations for the May Borough Election campaign. At one point over 65 volunteers were working together in the function room at The Bull in East Farleigh. "all these people working together reminds me of the old days, we felt we made a difference then." There could be no clearer example of how Groupings can work than today. New friendships were made, old friendships renewed and, dare I say, despite it being hard and tedious work, most people actually enjoyed themselves. It really is quite empowering being part of a large team, working together towards a shared goal. Thank you to all who came to help from all five Associations, in particular to those who came from T&M, TW and C&A to help their new West Kent colleagues. Thank you to John and Brenda Wislon for organising the venue and lunch for the helpers. 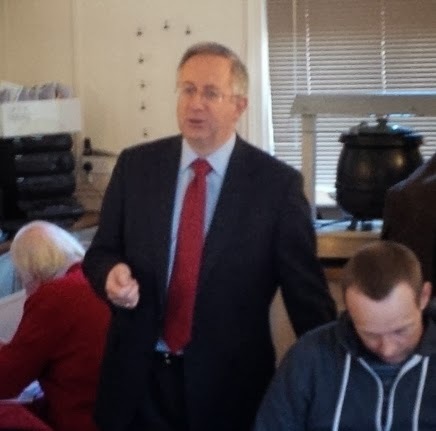 To South East Region EU candidate Richard Robinson for making the time to drive from Sussex to Maidstone for a 9.30am start, on the basis that if he cannot ask people to work for him if he doesn't reciprocate. He's a good man and I am sorry he isn't higher on the list. 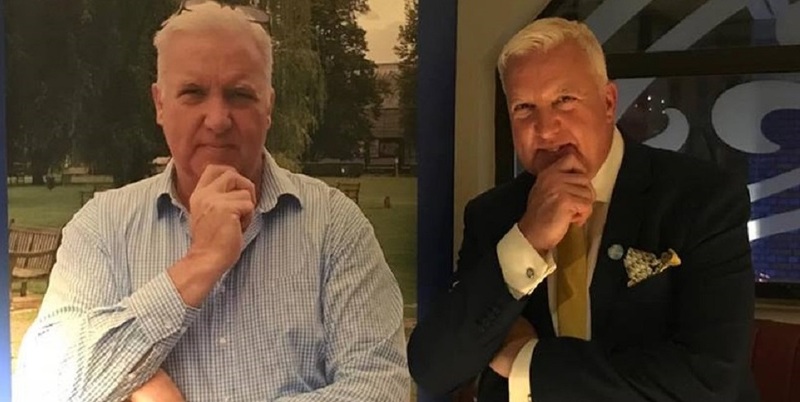 And, of course, to Jon Botten, who worked countless hours with John Balcombe, Allan Sullivan and Owen & Christine Baldock to ensure over 150,000 pieces of paper were printed, mail merged and folded in time. Richard Robinson thanks the crowd for their support.